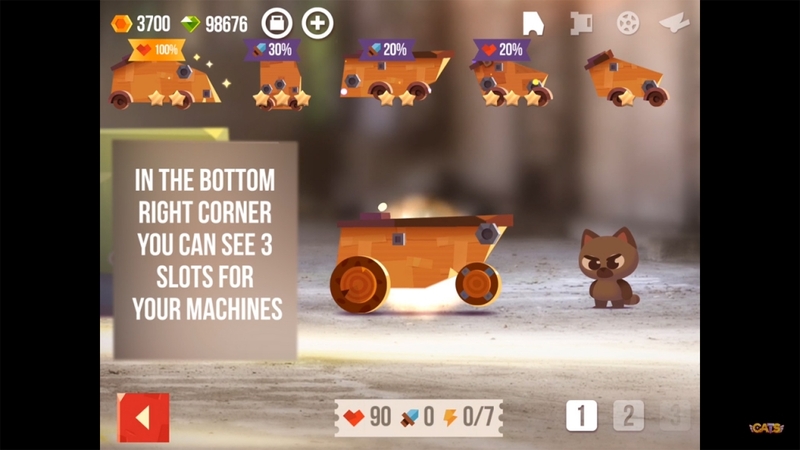 CATS is a free-to-play casual mobile game developed by ZeptoLab for iOS and Android where players can build a war machine piloted by cats. 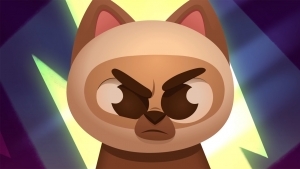 The felines may be cute, but your deadly war machines certainly aren't! 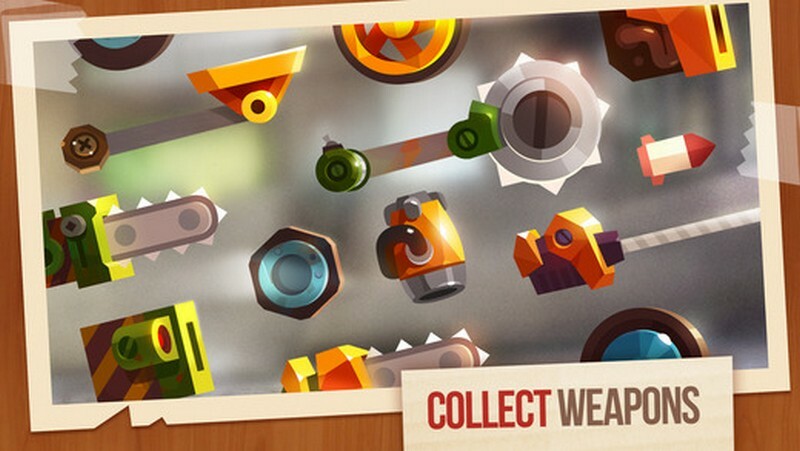 Rockets, buzzsaws, drills are just the beginning to the weapons at your disposal. 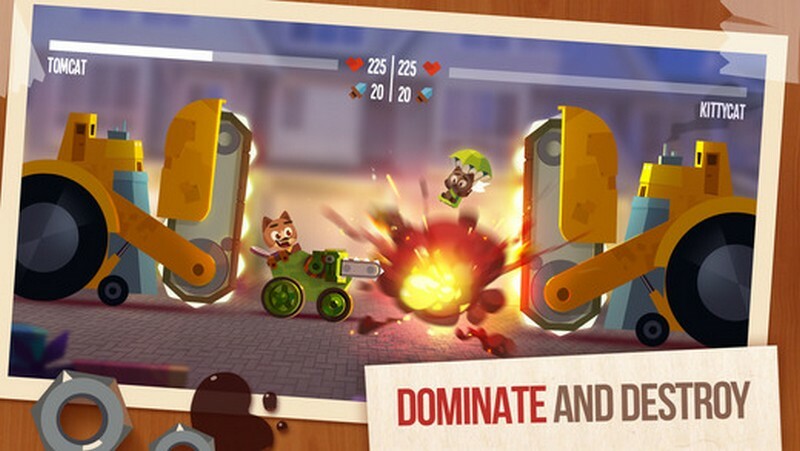 Build your own war machine to fight for glory and exercise your right of sweet destruction as a cute feline in CATS! 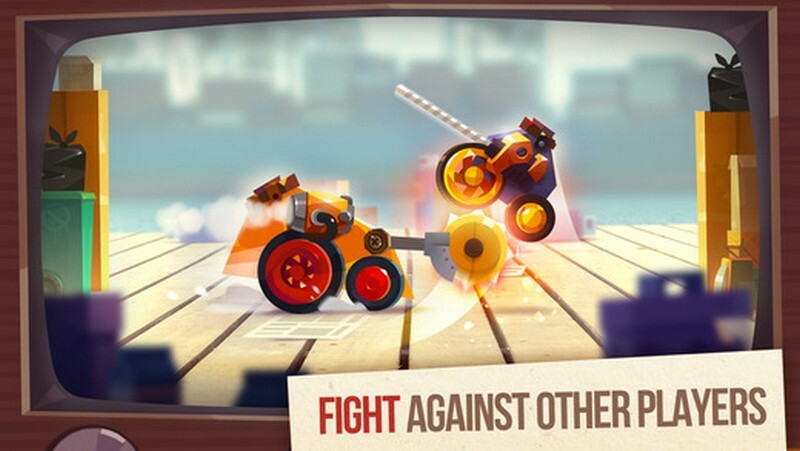 Destructive Battles: Shoot rockets at your opponents, try to drill their machine apart, or flip them over so they are vulnerable. Do whatever you can to destroy them before the map closes in. Engineering: Build your machine not only so it causes some serious destruction, but also so it is functional. Nobody want a machine that can blast tons of rockets, but is stuck in place. 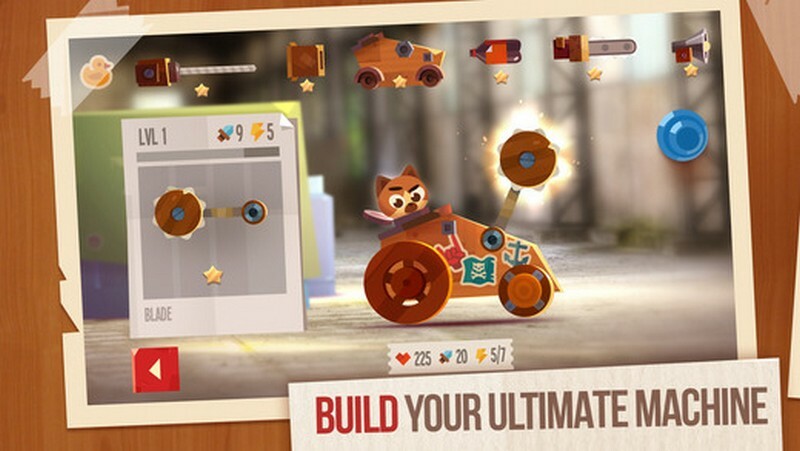 Crates: Earn crates as you play that can open over time and give you some pretty amazing pieces for your machines. C.A.T.S. showcases the new updated garage features coming in update 2.1. C.A.T.S. 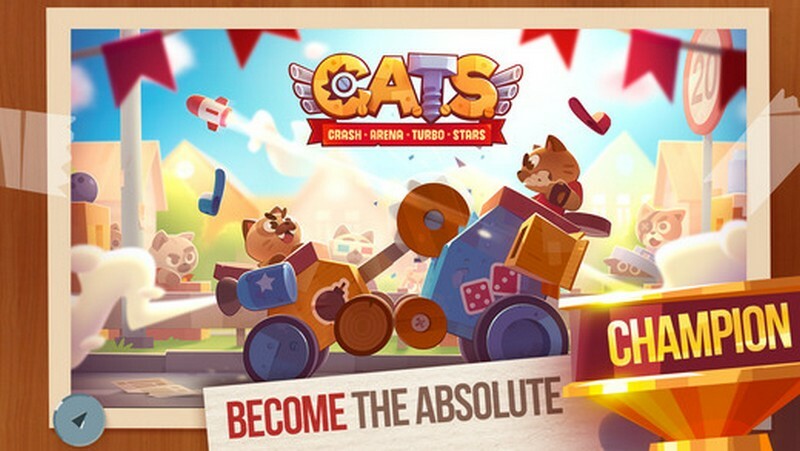 : Crash Arena Turbo Stars is here to give you what you want... cats in destructoderbie cars wrecking each other.